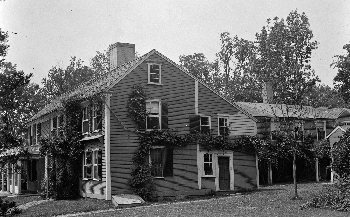 Prescott made his home in Pepperell in northern Massachusetts. He served in King George's War and in the French and Indian War in the provincial militia, after which he was offered a position in the Royal Army, which he declined. When the American Revolution drew near, Prescott was made a colonel over the town of Pepperell. 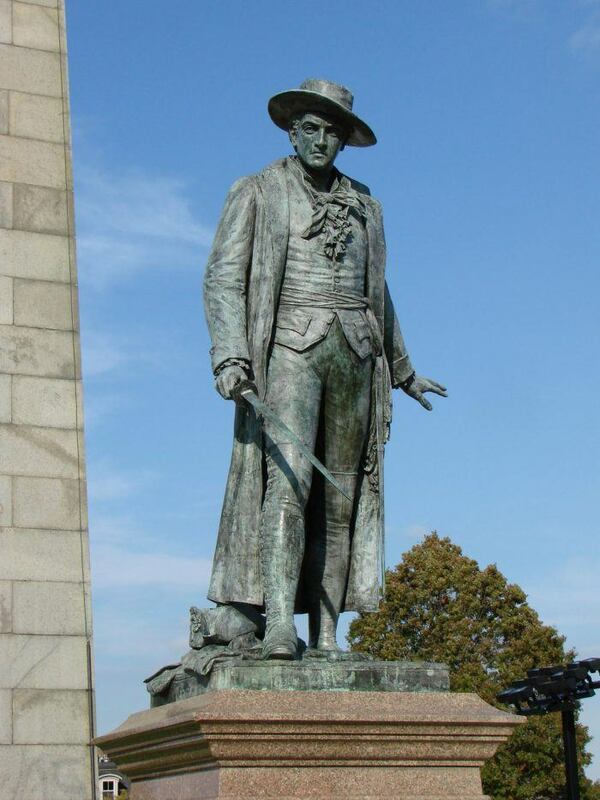 Colonel William Prescott Statue at the Battle of Bunker Hill Memorial in Boston. On the evening of June 16, Prescott was given the task of building defensive works on Bunker Hill in Charlestown, across the river from Boston, due to an impending British takeover of this high ground. Prescott took 1,200 men who worked through the night, building defensive works on the adjacent Breed's Hill instead because it was a better position. Early on the 17th, British warships began bombarding their position. During the early stages of the bombardment, Prescott walked boldly on top of the defensive works, encouraging his men. British General Thomas Gage observed him through a telescope and asked who it was. An aide (who had once been married to Prescott's sister) told him it was William Prescott. "Will he fight?" Gage asked. The aide replied, "Yes, sir; he is an old soldier, and will fight as long as a drop of blood remains in his veins." Later in the day, the British ground attack began. It was at this time that Colonel Prescott made the famous statement, "Don't fire until you see the whites of their eyes," hoping to preserve his precious ammunition. Three assaults were made by the Royal Army, resulting in a great slaughter of the British troops, half of whom were killed or wounded. In later years, Prescott served for several years in the Massachusetts Legislature. Both he and his brother served in the 1786 effort to suppress Shay's rebellion. William Prescott died in Pepperell in 1795 at the age of 69.